HomeIs Your Sleep Affecting Your Chronic Pain Levels? Here is another article about the therapeutic value of sleep from Jane Sandwood. Millions of Americans are living with severe or chronic pain everyday. In 2015, a Sleep in America poll found that as much as 36 percent of the population have had acute pain while 21 percent experience chronic pain. Those living with chronic pain can sometimes be severely limited in their everyday lives including their sleep. One in three Americans do not get enough sleep which can have many physical and emotional effects including dealing with physical pain. 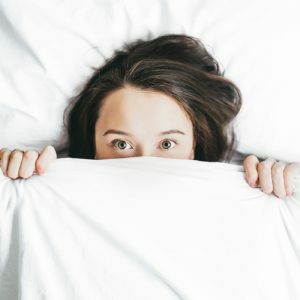 More recently there has been a rise in popularity in the use of alternative treatment such as Integral Deep Listening However, there is a common tool that all individuals can employ to help them get back to enjoying their lives: sleep. Often underrated, getting a good night’s sleep is linked to many facets of our well being. Many studies have been conducted which focus on how pain affects your quality of sleep and vice versa. With the importance of sleep becoming more pronounced in managing pain, here are some ways your sleep is linked to your pain management. Lack of sleep tends to make us grumpy and short tempered. That is common knowledge. It can also lower our pain threshold, hence making us more sensitive to pain and hence, we end up thinking we are in much more pain than we actually are. This neurotransmitter is responsible for reducing anxiety and calming in our bodies. While most of our serotonin is found in our gestational tract, a percentage is located in our nervous system. Lack of serotonin can lead to increased feelings of anxiety and even depression. Poor sleep can lower your serotonin levels and hence, affects our anxiety levels and happiness. Research shows that adults over 65 are twice as likely to experience some form of pain. As we age, the likelihood of contending with chronic pain becomes more of a reality. Yes, living with chronic pain can make falling asleep a difficult task every night. However, more recently it has been highlighted that poor quality of sleep can in fact, affect a widespread of pain in older adults.In the study, many participants developed new widespread pains and non restorative sleep was found to be the main factor linked to increased levels of pain. Taking the following points into account, getting good quality adequate sleep should be a priority for everyone. There have been great new developments in treatments available for those struggling with chronic pain, sleep and both. If your pain is stopping you from getting a restful night’s sleep, there are many over the counter topical pain relief treatments to target the source of discomfort. If you are looking to improve your sleep, try incorporating regular exercise into your daily schedule. It has been shown to improve your sleep quality. For sleep techniques and tips to help you improve your sleep quality and sleep longer, make use of the many online resources available today. More holistic and modern techniques include meditation and dream interpretation using the IDL technique. Simple adjustments such as incorporating a routine or bath before bedtime can make a great difference in getting the rest your body needs and in your pain levels. Previous PostCan IDL Alleviate the Symptoms of Schizophrenia? Next PostWhy Does IDL Interviewing Work?